Would you like to use the licensed version of Envira Gallery on your WordPress.com business account? We’re going to walk you through a few of the most frequently asked questions for a better understanding. Can I install Envira Gallery with my WordPress.com business account? Why can’t I see my Settings or Addons section? Where can I see my Add Gallery button? Why can’t I see any updates for my addons? How can I install my addons? Q: Can I install Envira Gallery with my WordPress.com business account? A: Absolutely! With a WordPress.com business account, you’re able to upload and install the licensed version of Envira Gallery and use all of the addons that come with your license. 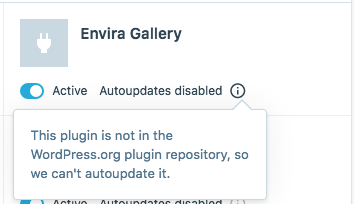 Follow our guide from Step 1 on how to download Envira Gallery, you can then go to the WordPress.com dashboard and click the Upload Plugin button to upload the .zip file you just downloaded. Alternatively, you can also click WP Admin from the menu on the left to enter into the WordPress Admin and follow along with the rest of the steps on installing Envira Gallery. Q: Why can’t I see my Settings or Addons section? A: From the WordPress.com business account dashboard, you can’t see the Settings or Addons screen. You’ll need to go into the WordPress Admin to see those menu options. Once you have entered the WP Admin, you would see your Envira Gallery » Settings and Envira Gallery » Addons menu options from the menu on the left. Q: Where can I see my Add Gallery button? 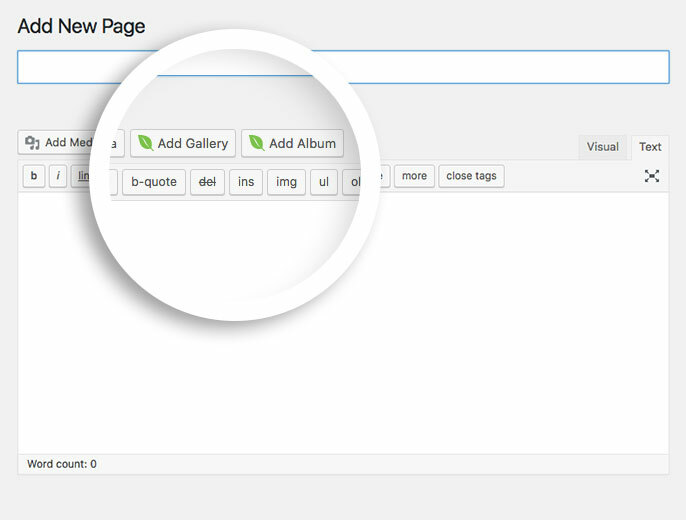 A: When you click to create a new post or page from the WordPress.com dashboard, by default they will not add the Add Gallery or Add Album button. You’d need to go into the WP Admin and when you click Add New (for posts or pages), you would then see the Add Gallery or Add Album button. Q: Why can’t I see any updates for my addons? A: Because the plugin is not in the WordPress repository, automatic updates are disabled for your WordPress.com business account. Q: How can I install my addons? A: Since WordPress.com won’t allow for autoupdates, it won’t allow for automatically install the addons as well. You’ll need to manually install your Envira addons to your WordPress.com business account. Would you like to know how to create your first gallery? 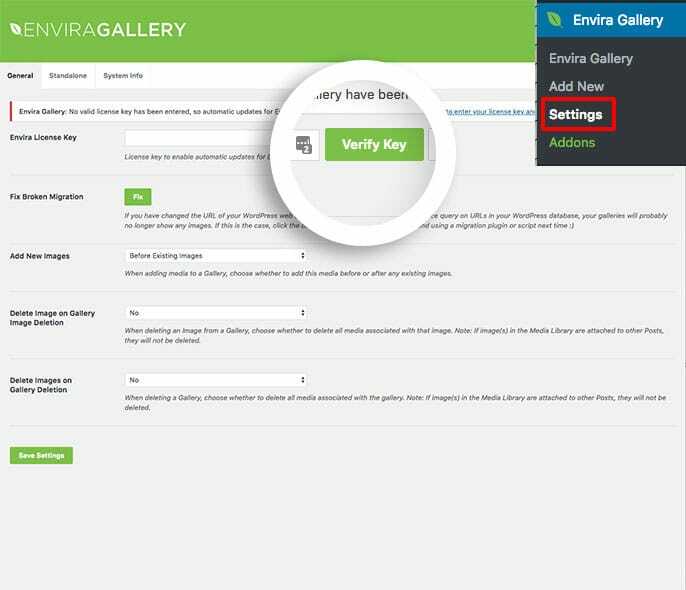 Check out our tutorial on Creating Your First Envira Gallery.